ANNOUNCER: Welcome to The Hear Me Out [CC] Podcast, a show where you’ll hear from inspiring people in and around the deaf community, and from your host, Ahmed Khalifa. AHMED: Hey, what’s up everyone. This is indeed Ahmed Khalifa with episode five of The Hear Me Out [CC] Podcast. Today I am going to be interviewing Abbi Brown who has so many different stories that I want to share with you. Everything from just sharing her deaf story and dealing with that to doing a bit of stand-up comedy, to doing a bit of BSL sign singing on YouTube, to being an advocate for the disabled community. She done a lot of things and I just thought this would be a really really good interview to discuss and to share with you. So, let’s not waste any time, let’s get into it with interview with Abbi Brown. Okay well, Abbi, thank you for joining me on The Hear Me Out [CC] Podcast. Thank you. ABBI: Hi. Thank you for having me. So, I just want to start off with the same thing I ask other people is, just about your background story related to the deaf story. The hearing loss journey, the challenges that you had growing up and how did you overcome it. And that’s the kind of stuff I want to start off with. So, could you give me a background of that story? ABBI: Sure yeah. I was born with Osteogenesis Imperfecta, which is also known as brittle bone disease, here in the UK and, or glass bones elsewhere in Europe. And it basically means that there’s a problem with my collagen and so my bones aren’t as strong as they should be. But also it affects other connective tissues. So one of the side effects can be hearing loss. So my mom, I got, I inherited the condition from my mom. We both also have a hearing loss, “Otosclerosis.” Which basically means that there are little bones, the stapes bones in my head, that helped me to hear and have like fibres growing along them so it stops them vibrating properly against the eardrum which means that I lost my hearing around the age of eight. I was fitted with hearing aids which, that made, it’s a progressive hearing condition so my hearing got worse as I got older. And gradually hearing aids didn’t really help me that much anymore and until I was about 16 I was classed as a severe-to-profound hearing loss. And then two, sorry, my mom and I started learning sign language, which is sign language, and then two years later I was very lucky to be offered a hearing operation called a Stapedectomy, which is where they literally go into your skull and replace the stapes bones with like titanium prosthetics, which are incredibly small, they’re about one millimetre to two millimetres in length. And they have to be fitted with a laser, a special kind of laser which they, only recently gotten used here. So, I was really lucky to have the operation and it restored the majority of my hearing so I now wear like tiny tiny hearing aids. But nothing like what I used to have when I was little. And, yeah, so that’s my journey. AHMED: Wow. I didn’t know for, this surgery exist. This is something that I’m not very familiar with. I’m familiar with you know the kind of, you know the upbringing, the challenges and wearing those big chunky hearing aids, you know I’ve, we’ve all done it. 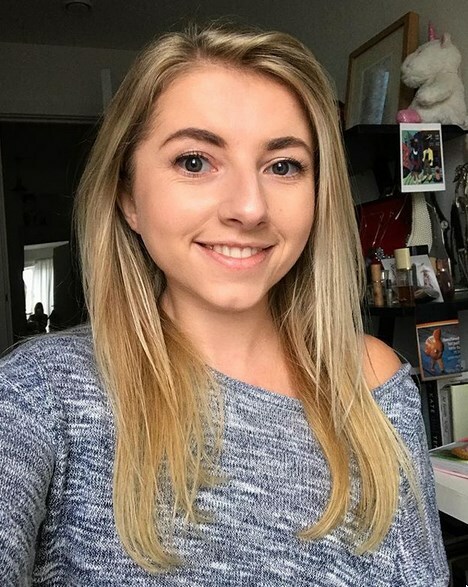 ABBI: So, Otosclerosis is a very rare condition, which means that the surgery that was offered up to me was also quite a rare surgery and a lot of doctors haven’t heard of it. And so yeah, it wasn’t something that I could easily research and there are people who’ve had it done in the world but very rarely people who have my bone condition as well, Osteogenesis. Which obviously meant there were a lot higher risks associated with it for me than there are for other Otosclerosis patients. And because going into my ear anywhere can cause, could have caused the rest of, other bones to break. I lip read very well, but I just thought if I’m ever going to do this then this is definitely the time to take the risk. And I think I was actually the first patient that my surgeon had with both Osteogenesis and Otosclerosis so yeah, I was very much a guinea pig. But it was well worth it. He just did one ear the first time, to make, to kind of you know, lower the risk basically. And then, then that worked out and he did the second one. AHMED: Wow. It literally change your life really, in a way. Just to kind of get back to what you’re familiar with, really. ABBI: It was absolutely fantastic. The first thing I ever heard was an, my surgeon came in with a tuning fork, and hit the tuning fork and I could hear it and it was just…I cried actually. And I think my mom cried as well. ABBI: It was just so incredible that, that ability to, I really hadn’t heard anything through my own ears, only with hearing aids, in 10 years and for a lot of that time I hadn’t really been hearing properly at all. Even with the hearing aids on so it was, yeah, it was just insane. And it’s been absolutely life changing I have to say and I just don’t feel that sense of isolation anymore which I grew up with. It motivated me to go to meet at concerts with my friends and actually hear what’s going on. ABBI: Hear the jokes in the pub. I do have the, I do still have a mild hearing loss so I do still miss things and you know even my tiny hearing aids aren’t the best in the world for that but, it’s just so different, yeah. AHMED: Yeah. No, I totally get you, the tiny hearing aid, it’s not for everyone. You’d think, because I’ve got the slightly bigger one because the tiny one was not sufficient enough so, it’s not perfect. You know, because people think that, it will kind of give you the normal hearing that everyone else has, and it’s so not true. It’s just so not true. It’s just there to help you a little bit. ABBI: … it was really really cool. Yeah. AHMED: And does that mean, because you’re saying that you learned BSL as well along the way. So, does that mean that was, the moment where you start to get into it and you actually done a lot of videos on YouTube, and that’s how I first discovered you was your YouTube videos. You started doing some tutorials and you started doing some signing some songs as well, and you know was that how it all started? Did you learn that way or did you learn another way? And also what made you get into the YouTube videos as well? ABBI: So, I started learning sign language when I was 16, so two years before the operations. And at the time the operations weren’t really on the radar because we didn’t have the laser and that they use for the operation here in UK. And I learned it very much with the expectation that I would at some point go, become profoundly deaf and I would need it in my day-to-day life. So I did a level one course and then I did my level two the following year. And I started doing the videos while I was finishing my level two as part of our homework. And my sign language teacher, who was a fantastic deaf lady called Jill, and she’s brilliant, and she asked us to go and have a look at sign songs because we were talking about the difference between hearing communities and deaf communities and whether we should work towards integration or whether we should be happy to be kind of like, have deaf culture but then separate from hearing culture. Which I’m sure you’re familiar with the arguments for and against. And so as part of that we were looking at sign song and comparing it to deaf poetry. And then yeah, I just thought that, that was amazing because as I say, music was a really big part of my life and I felt like it was a way of kind of enjoying music as a deaf person, that I’d enjoyed as a hearing child, and a hearing teenager. And yeah, that’s why my first sign song was Britney Spears. ABBI: And those things. Yeah a childhood thing. AHMED: But you’re getting like, you’ve got tens of thousands of views so people enjoy it. People love it. Even I started watching it and I started to, because I’m learning BSL as well I’m starting from, almost starting from scratch. And sometimes they say the best way to learn a new language is to watch movies or listen to music and all these kind of thing. AHMED: But in BSL it different so I actually try to watch you and imitate your signing to a particular song. And I enjoyed it, it was great. Very fun. The fact that you’re getting all these views it proves that it’s really popular and people love it and I know it’s not your main focus right now, it was part of our homework and stuff but, I think they’re great. It’s really really cool videos that you’ve done there so. I’ve always wondered what would be, in your opinion what would be the best way to learn BSL? Because you could be signing away to yourself at home and, if you’re learning online or from books and things, but nobody’s there to tell you whether you’re doing it wrong. It’s really hard to tell yourself whether you’re getting some signs wrong. I still get signs wrong myself. And one of the things I think is great about YouTube is when, when I used to make new videos, which I carried on making the videos long after I had the hearing operations. But, then people would often comment and say, “Oh just letting you know you did, this had shape wrong.” Or, “Actually that means a different word, a different cord.” Or something. And I would adjust mine and yeah. I think it’s really important to have kind of both the receptive and the productive elements in your learning of BSL, otherwise it can, it’s very difficult to know that you’re doing it right. AHMED: Of course. And I think that applies to any languages really, isn’t it? AHMED: So, and end of the day BSL is a language so it should be treated the same way of any other language in terms of you want to learn the right thing, you don’t want to learn the bad habit in terms of pronunciation or in this case signing. And yeah, it’s the same idea. We should, you know, spot on, which is really really great. In terms of like you know, you’re kind of part of the deaf community because you’ve had the upbringing and you are pretty much, I mean, I’m guessing fluent in BSL? AHMED: Well I mean, I’ve watched your video, you are very fluent, but okay. It seemed to be really really good. You’re able to have that kind of conversation in BSL but, I’ve always seen people kind of commenting about being deaf and then having the, I quote, “Clearer,” kind of thing. AHMED: And people always get a bit defensive about it and people get angry about it and talking about, “That is my identity.” And stuff like that. But it’s kind of, everyone has their own situation. Everyone has their own upbringing and you can’t compare one person with another. Have you ever, have you ever had any experience like that at all where people were saying you shouldn’t do it? ABBI: I have had people comment on the tutorial, so I have two YouTube channels. One is to sign songs and one is the tutorials. I have had a lot, well not a lot, I had loads of comments from one person saying that I shouldn’t be doing the tutorials. Because he said I wasn’t qualified and I’m not a native speaker of BSL. ABBI: And I am actually qualified to teach basic sign language, but he just like basically wouldn’t…wouldn’t take me seriously. And I think there are definitely people who think that sign song as a concept is good because the deaf community shouldn’t be kind of pandering for their, to the hearing culture. And I think that’s actually fine and a very sensible point of view to have but to that I would just have to say, “If you don’t like it you don’t have to watch it.” I do my sign songs for people who maybe like me grew up in the hearing community and still want to kind of engage with songs. Also deaf people who want to be integrated with the hearing community and I don’t think that people should get to say whether or not that’s okay. And unfortunately, and those people have been very very unsupportive of me. There are people who’s point out that my sign language isn’t fluent and it isn’t as good, as good as a native speaker’s would be. And again, I do make that very clear in my descriptions on my, and on my channel. AHMED: Yeah. It never stops. Anybody commenting like that. I mean you get tutorials, and they can’t have that. ABBI: Yeah. And I think, that’s actually fine, but for the number of people that comment to say thank you, this is, my five year old deaf daughter loves your videos and things like that, it’s worth it. AHMED: Definitely. Definitely, that’s great. So, I mean the biggest thing I was wondering is like, surely it’s up to the person and the individual to decide, first of all how they’re going to learn BSL, whether they’re fluent or not, whether they want to fix or have a solution for their hearing loss or not, it’s up to the individual. AHMED: So, for anyone else who is in your situation or was in your situation, and thinking about getting a way to fix the hearing loss, do actually hear better than they could do. What advice would you have for them to just kind of help them to make the right decision and not make their decision based on what other people think? What advice do you have for these people? ABBI: I would say that if you’re sure that you’re willing to take the risks associated with the either surgery or implant, you might be being offered, then I don’t think getting your hearing kind of replaced as it were, or improved, necessary means you have to remove yourself from the deaf community. And most of my videos were made after I regained my hearing but equally I still have a lot of, I grew up deaf and I have a lot of understanding of what it feels like to be deaf. And you know, the contacts and the connections that I made through my childhood are still very important to me. I do think you have to be completely sure of that you are willing to take the risks and I think the only reason I was absolutely sure was because I knew that I could, if I had lost my hearing completely, I could have coped. My sign language was good enough and I lip read and I was at that stage in my life where if I’d become deaf that summer, then I would have gone to university as a deaf person. ABBI: … I do, yeah I do miss that ability to completely kind of enter a different world. But I’ve never regretted it. AHMED: And they’ve considered themselves to be part of the community and I think that’s fine, that’s great you know? AHMED: Playing a part in that community. So, which is great. So I like the way you said that, it makes sense. It makes a lot of sense. One thing that I’m interested as well, I mean you do other things as well. Not just your videos and all these things that you’ve done in the past but you’re kind of a advocate in terms of disability rights. And that’s something that you’re very passionate about so could you explain just a little bit about what is it that you do on that side as well? ABBI: Yeah. So I guess what’s, what’s funny, I read a book, The Scope, about this once is that as my, when my hearing, at the same time that I got my hearing back my mobility, my physical mobility actually got a lot worse. And my legs basically got to a point where they just wouldn’t stop breaking and I couldn’t walk without them breaking. And at that point we made the decision to stay in a wheelchair full-time. Not full-time, I am, I can walk but I use a wheelchair most of the day. And so yeah, it was kind of strange because as I regained my hearing I also kind of lost my mobility. So I guess the move kind of disability rights, actually became a lot more important. And I never even thought of myself as disabled before I was about 18 because I still don’t really think of deafness as a disability as such. And I understand that it is classed as one for the purposes of legalities and hospitals and things like that and I understand why that needs to be the case but, I don’t think that I as a deaf person identified as disabled because I just had a different way of kind of experiencing the world. And it didn’t necessary mean it was less or more than anyone else’s. And so yeah, I kind of went through, started using the wheelchair, gpt a lot more, I guess I embraced my disabled identity a lot more, and partly because I’d lost that kind of deaf identity that I had. And yeah, I became much more of an advocate for disabled rights. I also moved to London, which is an interesting place to be disabled, it’s fantastic in some respect, and very very difficult if not and in others, I mean. 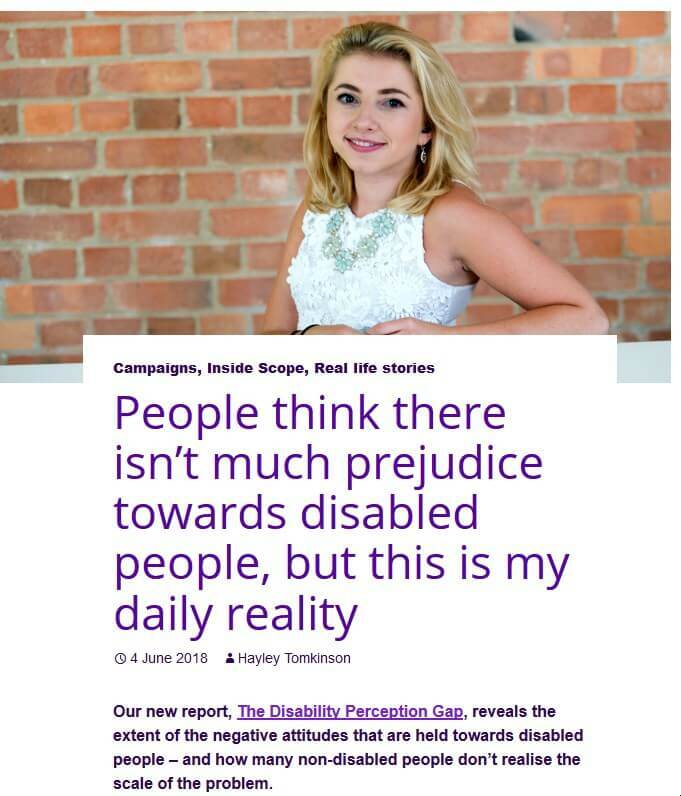 And so yeah, so I got involved with campaigning for Scope, a disability charity and also a few other charities. The Brittle Bone Society, which supports people with Osteogenesis like myself, and a couple of other bits and pieces. Oh I got with BBC Ouch, which is the BBCs kind of disability link and also, and done some stuff there with their people in the Housing Parliament, which is very exciting. AHMED: Wow. That’s pretty cool. I mean there, I have noticed that one of your blog posts on Scope, the way you were talking about there’s not much prejudice towards disabled people. And then you were talking about your own journey as well. I’m going to put it in the shownote, people can access it and read it. AHMED: It’s not, it’s not something that you’re asking for as well, I mean it’s just stuff like that, I found it really really interesting. One thing that you had mentioned as well, the Ouch, BBC Ouch, as you call it. And I did not know until I did my research that you actually did stand-up at the Edinburgh Fringe Festival as well. AHMED: I mean, I can’t believe I, because I live in Edinburgh so, it’s like how did I not know that? Was that last year I believe? ABBI: That was last year, yeah. 2017 yeah. AHMED: Oh, I can’t believe I missed that. I cannot believe that. That would have been great to watch. How was that experience and what was it that you did there? ABBI: So I entered a competition which is run by BBC Ouch, and they’ve been running it for a couple of years now. And they did it again this year where you kind of submit a story and then when you get through you, I got to work with a BBC comedy script writer to make my kind of story really good. Or as good as it could be. And then I got to perform it at live, in front of a few hundred people. ABBI: Yeah. It was video recorded so it was on iPlayer and it was also a podcast. Which was incredible, yeah. ABBI: It was actually a fantastic experience. It was quite daunting obviously. ABBI: But yeah, a really really great experience. AHMED: Are we going to see anymore stand-up comedy from you? ABBI: I don’t know. Maybe. I have been thinking about it. I’m doing a little run off performance at RAREfest in Cambridge in December. Which is a festival being set up by a charity I used to be, I helped to found actually, which is called The Cambridge Rare Disease Network, and they’re hosting a kind of festival of rare disease at the beginning of December. Which is free if anyone would like to attend and it is a kind of two day celebration of both rare diseases, people of rare disease and also and kind of research and those who are working to help people with rare disease and help [crosstalk 00:25:17]. AHMED: And when is that event happening? ABBI: It’s the first weekend of December so. AHMED: Okay. I just want to make sure that people know about it. ABBI: It’s the 30th of November and the first of December. AHMED: Right. Great. Okay I’ll put that included as well, people can see it. Sounds great. Sounds like good fun. And I’m going to try to find that episode of your stand-up comedy debut and so that people can watch that as well. Just pretty cool, maybe I should think about that because, well I live in Edinburgh so, I don’t have an excuse really. So I should think about that. ABBI: Well we’re doing, I’m sure they’ll do another one in 2019. And my one actually was with The Lost Voice Guy. He was also performing with me, he was the one who won, Britain’s Got Talent. So it was pretty cool. AHMED: I am very familiar with him actually, he’s great. And he uses technology as well to help him but obviously hilarious. Absolutely hilarious. AHMED: And really really popular with a lot of people so yeah. I think I know who you’re talking about and I wanted to see him live as well but didn’t get the chance so. ABBI: He was really sold out with me, yeah. AHMED: Well obviously, exactly. We should go as well, you know if the event is sold out and I guess when you are, you know Britain’s got talent and you know got to that stage and you, I think you want it as well so it’s impressive. So, you’re the one that he sold out when tickets got out on sale, he pretty, pretty cool as well. So then, if we kind of lined up I think, and I like to end it with a few like questions. Almost like a lightening question, quick firing question and just to see what kind of answer you give. Especially at when you had more of a profound deafness but you still mildly deaf as well. So, what was the worst thing about being deaf for you? ABBI: It was probably either missing out on my friend’s jokes or missing out on some conversation or losing the ability to hear music. I can really distinctly remember when I was listening to and, one of my favourite songs, and I just suddenly realised I couldn’t, there used to be a base part in it. And I couldn’t hear it anymore, I didn’t know it was there. ABBI: And I think it was that kind of recognition, I guess quite normal for if you’re deaf, you don’t really know what you’re missing, if that makes sense? AHMED: Oh 100 percent. 100 percent. [crosstalk 00:27:54]. ABBI: … not see but what you’re, what you should be hearing I think. But it was the fact that knew that there ought to be a part in there that I could hear and I couldn’t hear it then. And that was pretty sad but, I think probably the worst thing is, is that when someone says something funny, everyone laughs and you ask what it was and someone says, “It doesn’t matter.” And that always made me feel, well it still does make me feel so kind of left out. ABBI: Conversations, I would say probably yeah, it’s other people. The worst thing about being deaf is other people. AHMED: And then you do, I’m guessing you do what I tend to do is you just nod along and just smile and just keep going. AHMED: I think we, we know that feeling. A lot of people know that feeling. So on the contrary what was the best thing about being deaf for you? If you have any kind of answer for that. ABBI: Yeah. I, as I said, I didn’t think of deafness as being particularly a disability and I, there are a lot of things about being deaf that I miss. I would say the main one is the peace and quiet and taking the hearing aids out, and just like you know, hearing absolutely nothing. Yeah, just that kind of tranquillity and that feeling of being almost like you’re in your own bubble. You know, I could sit at school looking around there would be loads of people but I could absolutely focus on what I was doing because I just had absolutely no hearing. I didn’t all my life so yeah. I think it’s that sense of your own space. I don’t get that anymore, especially living in London. AHMED: Very vim. I like that, very very vim like. And what advice do you have for hearing people when they are around deaf people? ABBI: I would say, it always matters you know, what the hearing person, what the deaf person wants to hear always matters. And it doesn’t matter if you think it’s just a minor thing or it wasn’t for them to hear. It still, you know saying it doesn’t matter it really gives us that sense of isolation of being left out. And so I really appreciate it when people make the effort to ensure that I’ve heard everything even though, even if it wasn’t necessarily important. I remember the day before my first hearing operation I was obviously quite nervous. I’d gone to Tesco and I was at the checkout and as I’m sure you do, the checkout guy had said something but I knew I’d already paid so I didn’t, I could hear that he was, that he’d said something but I couldn’t be bothered to kind of ask him to explain it again because I’d already asked him something else, to repeat something else. So I just left it. I think he must have been able to see my hearing aids which were enormous at the time. And he waved his hand under my face so that I would look up to get my attention. And then he said very clearly, “Have a good day.” And all he wanted to make sure that I’d heard was just a platitude which most people wouldn’t have bothered if they hadn’t have heard it but I thought that was really really kind. And yeah, I would say everything matters. AHMED: Everything matters. I like that because everything that I’ve created on YouTube it’s like, things you should not say to a deaf person and one of them was that phrase, “It doesn’t matter.” Just because that person asked you to repeat it or to hear you what you said and in the end that person said, “Oh it doesn’t matter.” But you’re right, it does matter. AHMED: Everything matters. Everything you say matters. So I like that, it’s really really a good point as well. So finally, just to give you a break after this, what advice do you have for anyone who is living with deafness, whether serious or mild, what advice do you have for those people in making the most out of their life? ABBI: I would say learn sign language if you haven’t already. ABBI: That is definitely the thing that made me most comfortable in my deafness but it also made me feel extremely comfortable in myself. And I think, I was deaf growing up in a hearing community and I think when I missed things, I tended to think of it as my fault or, my fault for not listening hard enough, my fault for not concentrating. And something I realised when I learned sign language is how incredibly easy it is to have another speaking language where you have everything laid out in front of you, and actually I do need things written down, I do need it in front of me. And it’s not me being lazy, needing it to be in that format, it’s just the way I am. AHMED: It makes sense. That makes sense. ABBI: Yeah. The teachable thing about sign language is it’s literally all in front of your eyes. So you don’t need to be kind of straining to understand all the time because it’s actually just in front of you. And so yeah, I would say you might, even if you don’t need sign language, just learn it because it will make you feel better about yourself. AHMED: That’s great. It makes sense because again, if you go to discuss the other more popular languages you know the French and Spanish and whatever. But really any languages that you learn it will open up a whole new world. AHMED: And there’s no reason why BSL can’t do that for you again, you don’t have to be deaf. Even if you’re a hearing person and you want it, and it is guaranteed that it’s gonna open up a whole new world for you as well. Right? ABBI: It’s a very useful language and I think any language makes you think differently about things but sign language especially because of the way, kind of the grammar and the vocabulary is so different to English. And yeah, it really is. It’s a nice way of thinking. AHMED: I agree there, it, beautiful. I kind of been watching more programmes and things and music videos and people interpret like live events. And I just admire that because it looks amazing. It looks really really beautiful so it’s such a good point. It is such a good point. Well, I mean, there’s so many things I picked up from here, and I’m sure that listeners and those who are reading the transcript picked up a lot of things as well. For those who want to connect with you or communicate with you, where is the best place for them to do that? ABBI: So I’m on pretty much all forms of social media. And probably the best is my Instagram, @AbbiSigns. That’s, a b b i s i g n s. Or I’m on Twitter under the same name. AHMED: Make sure I will mention them, and make sure so that people can say, “Hi,” to you as well. So, this been great Abbi. I really really appreciate you being here. I really appreciate sharing your story and just sharing your wisdom as well. And yeah, I really appreciate it. So thank you very much. ABBI: All right. Thank you very much for having me on, it’s been really fun. AHMED: And there we have it. Thank you Abbi for being on the show, really appreciate it. Really enjoyed talking with you. And just so you know, anyone who is reading or listening to the show, I managed to find that link of Abbi doing her stand-up appearance and it’s really good actually. You should watch it and I will put that link in the show and you can check it out there. So thank you for listening, I really appreciate it if you could also leave a review on iTunes. It would really help a lot to get that message out there. So I’ll see you next time. Take care. ANNOUNCER: Thank you for listening to The Hear Me Out [CC] Podcast, courtesy of hearmeoutcc.com.